I hope everyone had a great holiday weekend! We packed up and headed “home” for the weekend. It didn’t go exactly as planned (three of us ended up with major sinus infections) but we had loads of fun. We got home REALLY late last night which is why this is coming to you later this morning. We had a great trip coming back to our house…I can’t believe the boys didn’t fall asleep until the last few minutes of the trip! Even though they didn’t feel good, we managed to stop so they could chase lighting bugs (something they don’t get to do that often living in the suburbs) and we stopped on the side of the road and watched some more great fireworks! They both said it was the best trip home, EVAH, and I have to agree! Our road trips to Mama and Papa’s house always involved a packed down truck, lots of snacks and a few snuggly toys. We get asked a million times “How much further?”, “How much longer?”, “Why does Mama and Papa live soooo far away?”, etc… Bella Gypsy has “Are We There Yet?” that will help scrap all those family vacations or short road trips! It’s bright, it’s fun and packed with lots of goodies! 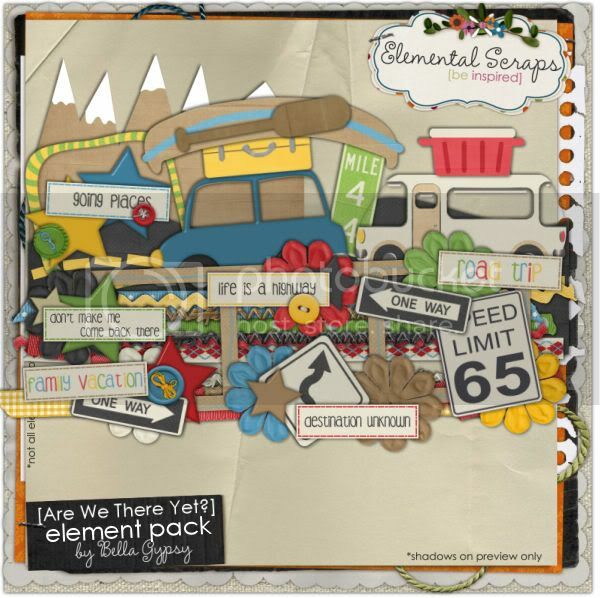 You don’t want to miss these new color plays goodies this month at Elemental Scraps! 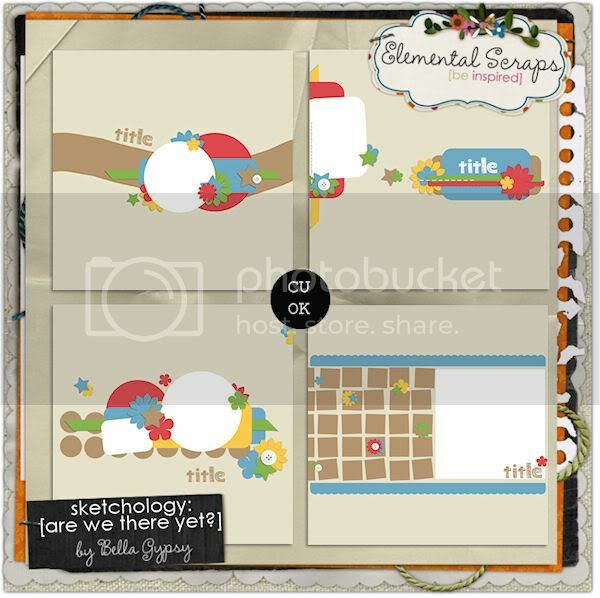 All images are linked to take you straight to the Bella Gypsy goodies at Elemental Scraps! Oh and one more thing….ALL the Color Play Goodies are ONLY $1! Do you have family pictures that you have really wanted to scrap but didn’t have the perfect kit? 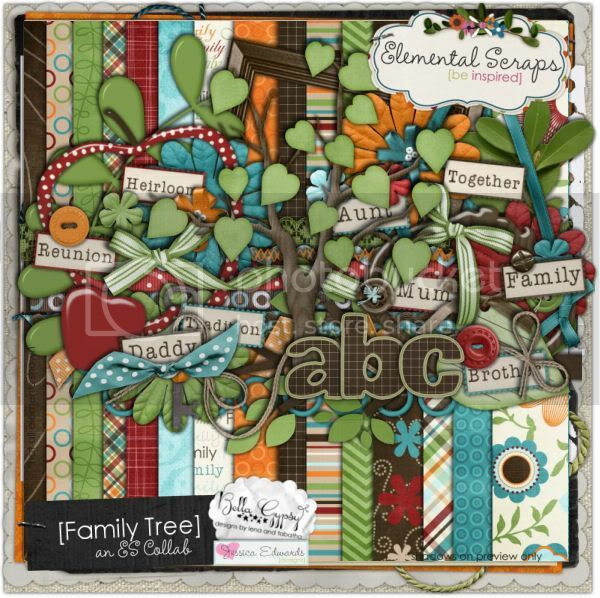 Check out Family Tree, a collab with Bella Gypsy and Jessica Edwards. 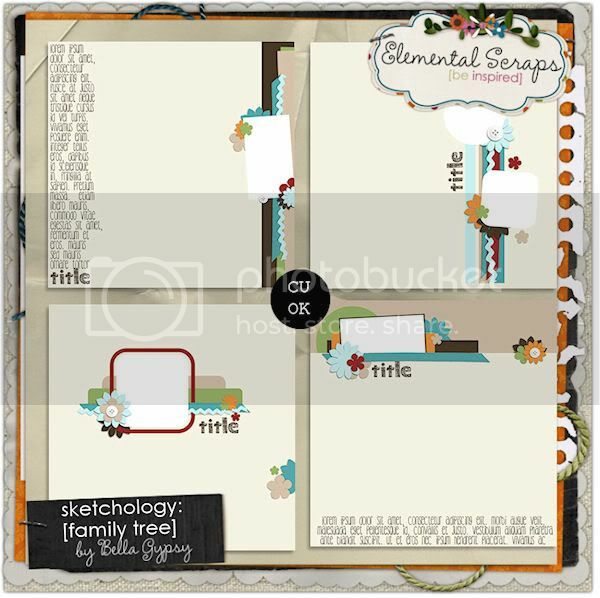 You can get all those pictures with the grandparents, siblings, or family traditions scrapped with this awesome, new kit! I SCREAM, YOU SCREAM, WE ALL SCREAM FOR ICE-CREAM! Mmmmm, I love ice-cream! Double Dipped is delicious and pefect for scrapping all those messy ice-cream faces! 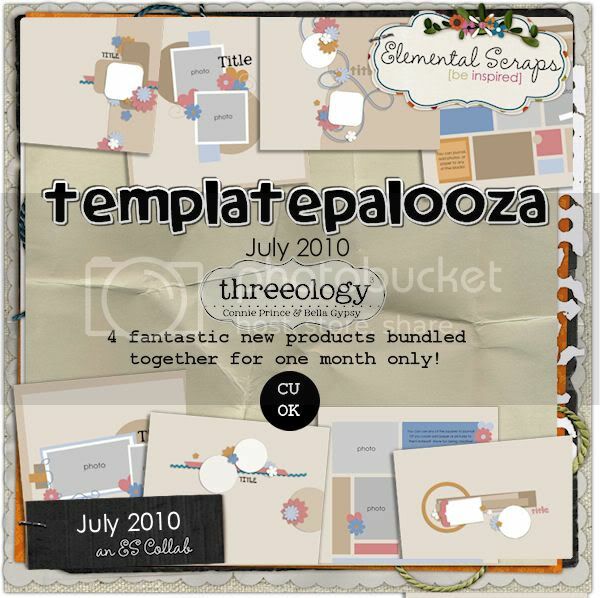 Another month means another Templatepalooza! 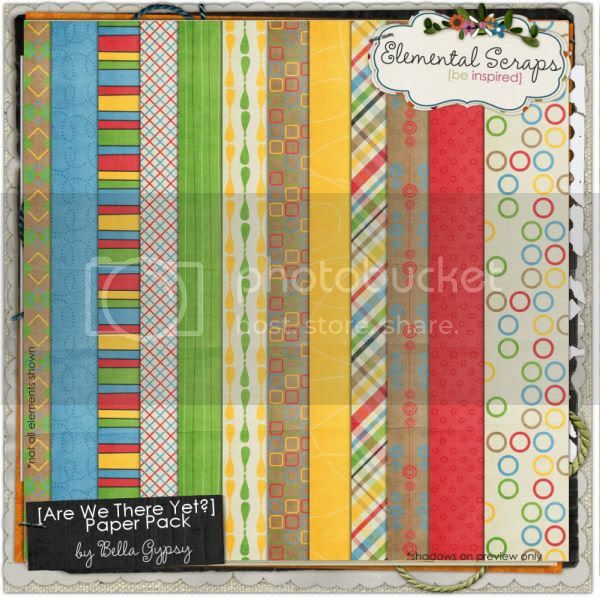 You have to check out this new template collab with Connie Prince! It is full of awesome products that will make scrapping so much easier! 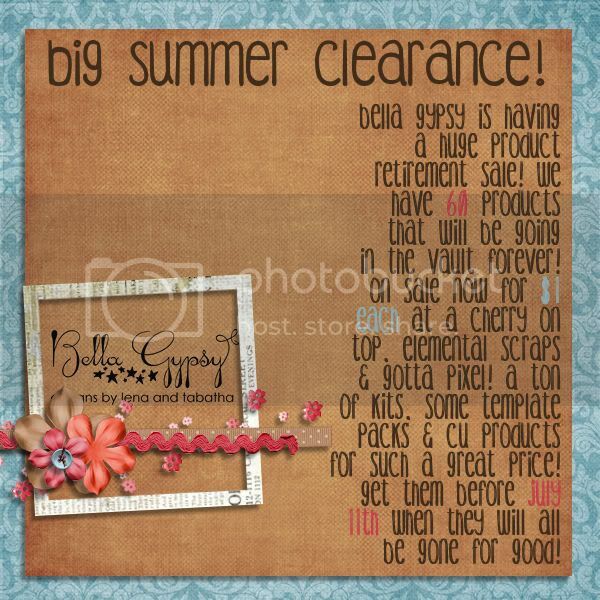 The big summmer clearance sale is still going on at Elemental Scraps so head on over there and pick up some goodies before they are gone forever! Freebie Time! 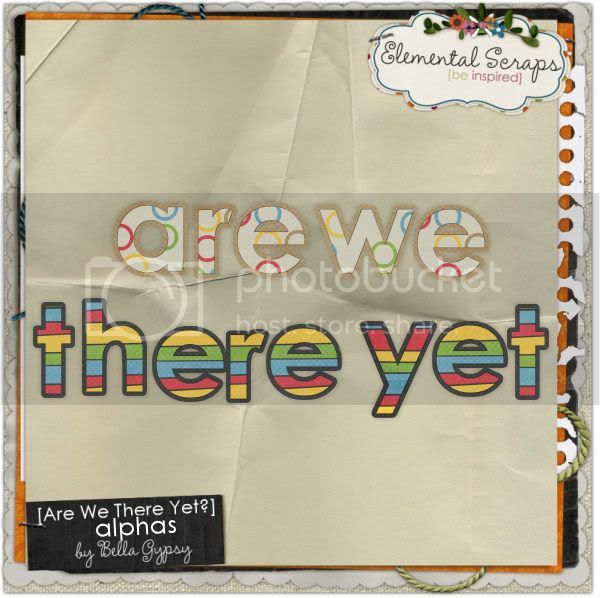 Here is some word art that I created using the new color play goodies! Click on the image for your download link! Well, that’s it for today! Oh, wait…there is one more tiny thing! Bella Gypsy has some exciting news coming your way so stay tuned for more information! I can’t spill the beans yet but you won’t want to miss this news! Have a great week! Happy Scrapping!